When it comes to teaching our children, it is not all just down to what they learn in school. Some of the most important lessons are the ones that we teach them at home, key life skills such as how to wash themselves, complete chores, and of course what to eat and how to cook it. Here are three top tips to educate your children and encourage them to get involved. Children learn best when things become a habit. So, from teaching them stain removal techniques such as how to remove ketchup from clothes when doing the laundry, to getting them to help pick out foods on your grocery list that will make up their meals, allow them to join in completing every day tasks. Each thing they do can be a learning tool to talk about where food comes from, what health benefits certain foods have, and how flavours and textures work together. Getting out and about is not only fun and good for your health, but it is also the perfect way to give your children an education in where their food comes from. Visiting local farms for example is great way to show them which animal is the source of the meat they eat, and shopping at a butcher’s shop as an alternative to a supermarket gives you the opportunity to talk about different cuts of meat. Teaching our children about where their food comes from is the first step, next they need to know how to prepare it. Spending time together in the kitchen will both strengthen your bond with them and also teach them invaluable lessons that will benefit them once they leave home and have their own families to care for. Here is a quick and easy recipe to help you get started with getting your children involved in the kitchen. Kids all love pasta! 1. Fry the onion in the oil, stirring often, until it turns pale brown. 2. Add the tomatoes, the puree and the salt. TOP TIP: Herbs such as basil add a great extra oomph to your sauce, while peppers can add the perfect crunch. 3. Cover the pan and simmer gently until your sauce is nicely thickened. TOP TIP: Adding a stock cube stirred in a little lukewarm water can help to thicken your sauce quicker. 4. While your sauce is thickening, prepare your pasta as normal. 5. Stir your pasta into your sauce and enjoy with a sprinkling of cheese on top! If they get peckish for a snack, try this great sweet potato fries (that are actually baked) recipe! And in case of a mishap, I’ve got you covered on how to remove ketchup from clothes. 1. Start by chopping up the sweet potatoes lengthways into chips and soak in cold water for about an hour. 2. Remove the chips from the water and dry them in a cloth, then toss them into a baking tray and drizzle over with olive oil. 4. Next, place the tray in a preheated oven for about 35-45 minutes, or until they are cooked through and looking scrumptious! 5. Serve with some ketchup or guacamole, if you’re feeling adventurous. You now not only have a couple of fabulous recipes to try at home, but also have some great tips to help educate them about their food, how to prepare it and of course how to clean up afterwards! Guest post by Katherine Mosquera and Naomi Hassan of Mavens of London. 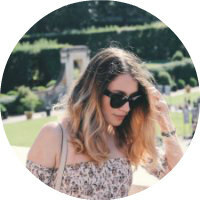 Naomi has written for various food and lifestyle blogs and continues to work alongside Mavens of London to create immersive articles and blog content.Katherine has written and edited a range of articles from home and lifestyle, to food and fashion, and is currently a content creator/author at Mavens of London.